Everyone is fascinated by great games of chess: the spectacular sacrifices, profound strategic plans and brilliant endgame play produced in the heat of combat are powerful expressions of the creativity of the human mind. But which, of all the hundreds of candidates, are the very greatest games ever played? 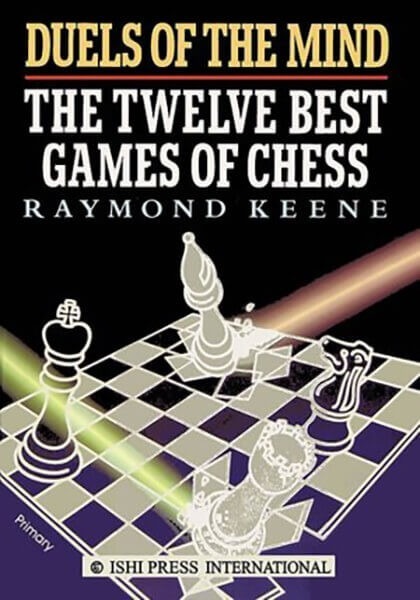 Here, in this book, is Grandmaster Raymond Keene's personal selection: twelve games, played by the giants of chess, each of them representing a peak in chess-playing genius. From the slashing attacks of Paul Morphy to the classical beauty of Jose Capablanca; from the python like constriction of Aron Nimzowitsch to the dynamic aggression of Gary Kasparov: all styles of chess are present, as are the great names of chess, including Steinitz, Lasker, Alekhine, Spassky and Fischer.